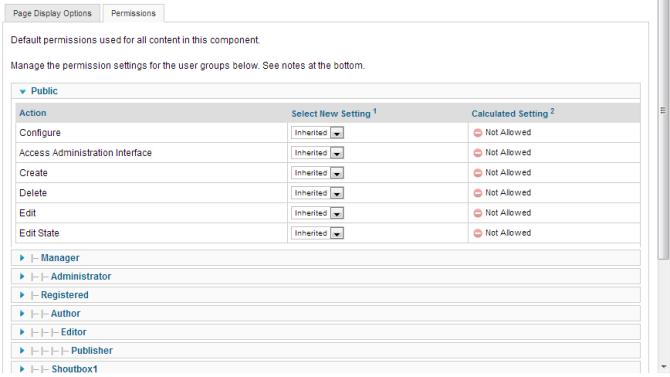 Select Components → Banners → Tracks from the drop-down menu of the Joomla! Administrator Panel. You can also select the 'Tracks' menu link from the Banner Categories Manager, Banner Manager or the Banner Tracks Manager. 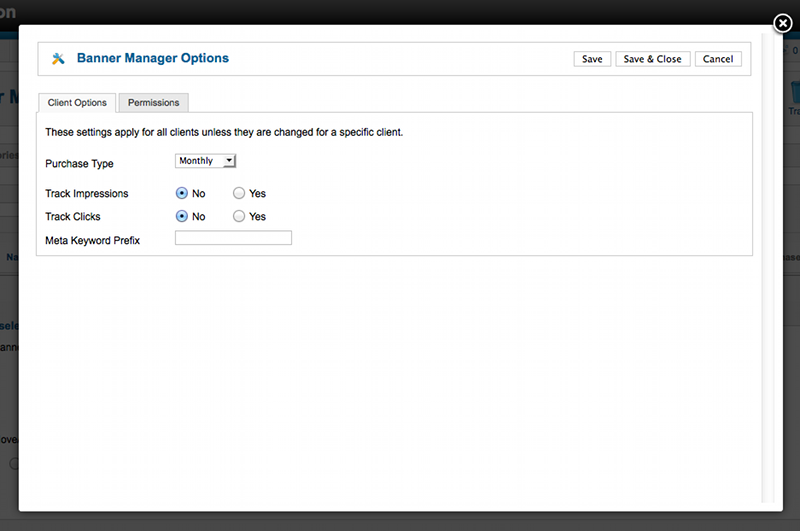 The Banner Tracks Manager is where you can edit existing Banner Tracks or create new ones. Banner tracking is the ability to track impressions (when a banner is displayed) and clicks (when a banner is clicked). Name. The name of the Track. Type. Type, impression (banner being rendered on page) or click (banner being clicked). Count. Number of times a type occurred. Export. Export banner tracking information in a CSV file. Options to name the file and compress it after the button is clicked. Delete. Deletes the selected tracks. Works with one or multiple tracks selected. This page was last modified on 19 April 2013, at 00:20.